Ruido is the wild child of contemporary Australian flamenco. With gypsy abandon, playfulness and brazen confidence, Ruido breathe a joyful wit. They thump a dark Bulerias and Martinette, draw a delicate Guajira, giggle out an Alegrias, lilt a haunting traditional Spanish lullaby, roar a Rumba or kindle a soulful Tangos. 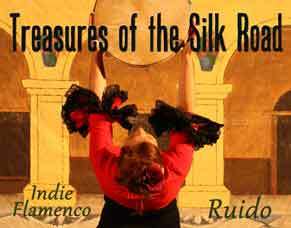 Ruido Flamenco award-winning compositions have firm musical roots in flamenco. Using traditional modes, chords and Palos (rhythm families). Unafraid to sing of powerful historical events such as war, refugees, deception, love and hope. Ruido conjure a vivid Indie-flamenco soundscape. In the small streets of Seville you can find three types of Flamenco. There is the polished high-art shows in theatres, the tablao performance spaces with queues at the door, formal seating, drinks and meals and then there are these amazing small pop-up events in noisy little bars called peñas where families and friends perform. In these spaces the tourists are permitted but not given front seats. This is the Peña flamenco style we love. Here you see the aunty or uncle singing whilst the grandpa whacks his walking stick, a little nephew dances and a cousin plays guitar. The extended family dust off the elders and present them with pride. It is in this enthusiastic chaos that innovation and tradition entwine. The charm and endurance of the art of flamenco is carried through oral tradition yet the young are encouraged to voice their story. As you pass these bars you are drawn in by the music, the dance and the energy. This is our tradition. 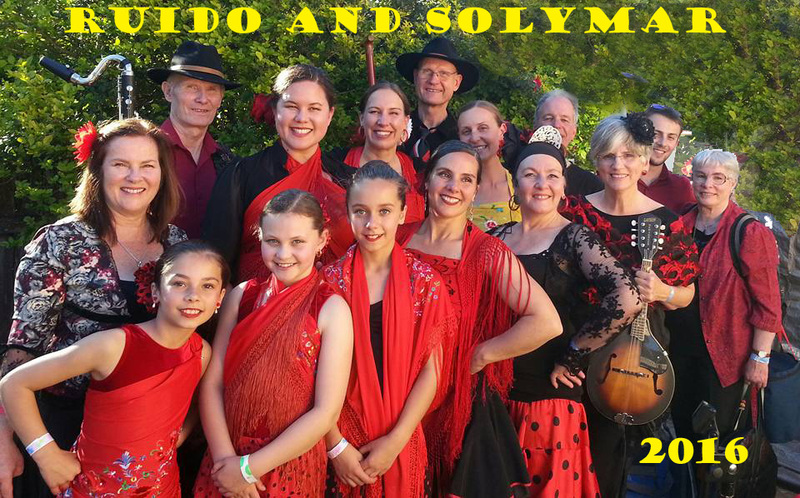 We bring in anyone with a love of flamenco, we work with them and tease out their best. There are no barriers in this amazing troupe. Ruido set their own rules. These musicians get up and dance, and the dancers sing and play! They are a bit cheeky and quite brazen. They sing in English and Spanish because they want their audience to know the character of their songs. They cheer one another on and they laugh at any bloopers. No show is the same as the last. Whilst Ruido love to present forgotten songs from far flung places, more than half of their songs are composed by the troupe. This is flamenco way. Every family has their own version of a song, writes words to bring the verses to life and sing them in their own unique way. And every Ruido song has guest artists who improvises. Sometimes it is in the lead guitar, sometimes in the vocalists, sometimes Clarinet, bamboo flute or tenor sax. 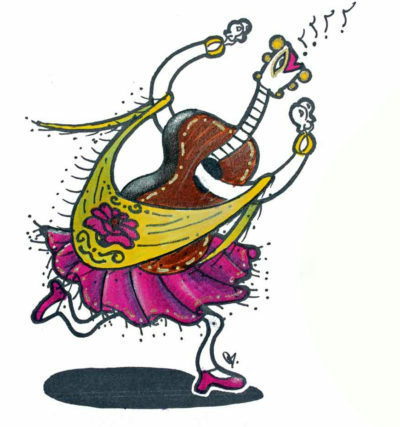 Unlike most other music forms, flamenco honours the dancer as a contributing musician. These rhythms are rapid, clear, complex and intricate beats that can only be articulated by drummers with shoes on! Their show is an explosion of colour and passion. 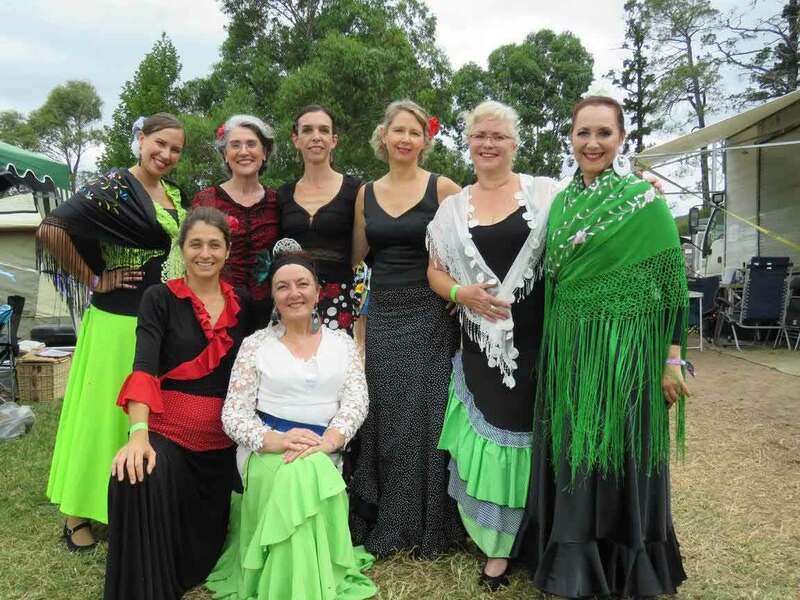 Ruido flamenco create gypsy ballads and tapping tunes for their evocative performances. Ruido invite you into their beautiful ancient and magical world. Collaborations make every show unique. Ruido work with well-established regional artists and groups. Ruido love building cultural bridges. They bring Flamenco to a wide audience performing often at festivals and fiestas. They offer lively shows for children and themed concerts for aficionados. Ruido musicians fundraise and welcome other artists. Their current show is ‘Treasures of the Silk Road’. Enjoy hearing songs about passionate people full of a love of nature and open hearts. Ruido is our bands name. In true Aussie tradition it is deliberately understated: It simply means Noise! How do you say Ruido? Roo-ee-doh with an aussie twang will do fine.